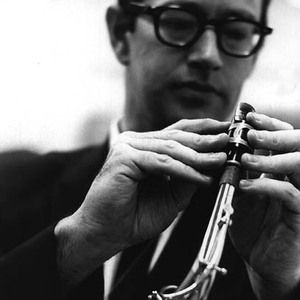 Paul Desmond (1924-1977) was a U.S jazz saxophonist. Desmond was born Paul Emil Breitenfeld in San Francisco, California on 25th November 1924. He came to prominence with the Dave Brubeck Quartet, which lasted from 1951 until 1967. Desmond wrote their biggest hit, "Take Five". Desmond's alto saxophone tone and technique owed nothing to the great alto player of the time, Charlie Parker; instead his was a clear, light, floating sound and highly melodic playing style. Desmond was born Paul Emil Breitenfeld in San Francisco, California on 25th November 1924. He came to prominence with the Dave Brubeck Quartet, which lasted from 1951 until 1967. Desmond wrote their biggest hit, "Take Five". Desmond's alto saxophone tone and technique owed nothing to the great alto player of the time, Charlie Parker; instead his was a clear, light, floating sound and highly melodic playing style. Much of the success of the classic Brubeck quartet was due to the superposition of his fragile, airy sound over Brubeck's sometimes relatively heavy, polytonal piano work. Desmond died on 30th May 1977.